This is an anecdote from one of my favorite books of all time, The Marx Brothers Scrapbook, a collection of interviews and ephemera by Richard Anobile, credited to Anobile and Groucho Marx. Groucho ~ I always smoked cigars. I was well known for smoking cigars. A lot of comedians smoked cigars, like George Burns. Q – Was there a reason for it? Groucho ~ Well, it gave you time to think. You could tell a joke, and then if the audience didn’t laugh you could take some puffs on the cigar. Sometimes that would give the audience a chance to think about the joke and give them time to laugh before you went on to the next joke. So it had a kind of value. Q – What if the joke wasn’t funny? 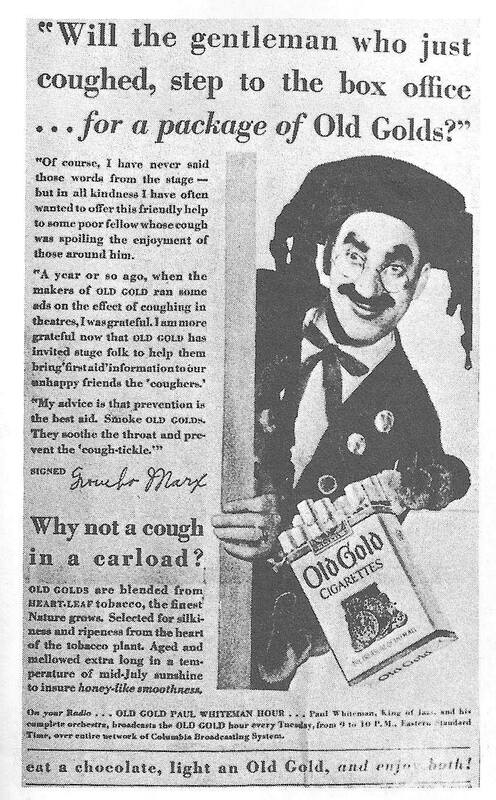 Groucho – Then we used a different cigar! I tell you, I gave a very bad performance that afternoon!